Blue (short-wavelength) LED light suppresses the development of experimental myopia in the chick at apparently lower intensity levels than white LED light. This may be due to either the eye’s chromatic aberration focussing blue light in front of the retina, or through activation of non-visual (melanopic) photoreceptors, both producing a stop eye growth signal resulting in less myopia development. 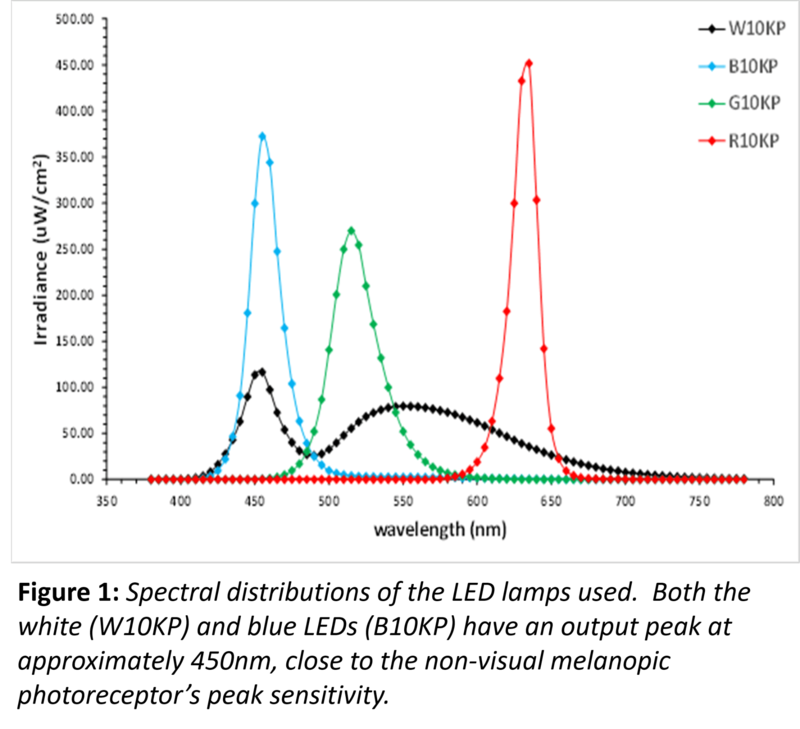 We are investigating whether blue and white light matched for melanopic intensity produces the same suppression of myopia development or not.